An elegant petite pencil dress with a flattering cross-over neckline, defined waist and short sleeves. 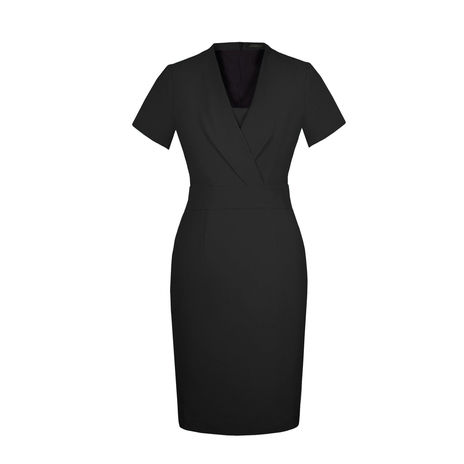 In timeless black, this dress features a slim waistband to accentuate the petite figure, with a slit vent and concealed zip fastening to the back. 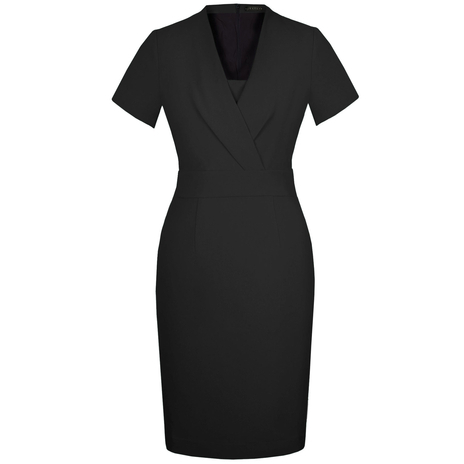 This form-flattering dress is a perfect boardroom to bar number. Did we forget to mention it has stretch lining too? Wear with leather ankle boots and a box clutch in autumn/winter.